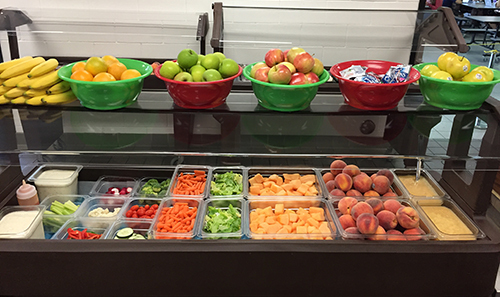 Proper nutrition is vital to student learning, which is why we work hard to bring delicious meals to our students that follow the National School Lunch Program guidelines. These guidelines include specific requirements for the number of fruits and vegetables, fats, calories, and sodium required for each meal served at school. You can view these required patterns at the side of this page. And because we know it’s important for students to start their day off right, we also serve breakfast daily to all our students. If you wish to file a Civil Rights program complaint of discrimination, complete the USDA Program Discrimination Complaint Form found online or at any USDA office, or call (866) 632-9992 to request the form. You may also write a letter containing all of the information requested in the form. Send your completed complaint form or letter to the U.S. Department of Agriculture, Director, Office of Adjudication, 1400 Independence Avenue, S.W., Washington, D.C. 20250-9410, or fax to 202-690-7442, or by email at program.intake@usda.gov. Individuals who are deaf, hard of hearing, or have speech disabilities may contact USDA through the Federal Relay Service at 800-877-8339 or 800-845-6136 (Spanish). The school breakfast program serves over fourteen million children every school day. 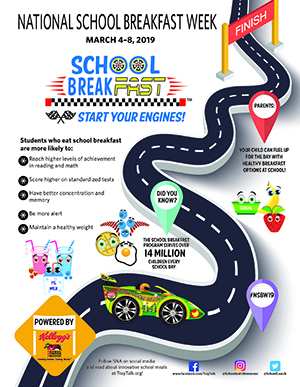 Your child can fuel up for the day with healthy breakfast options at school! 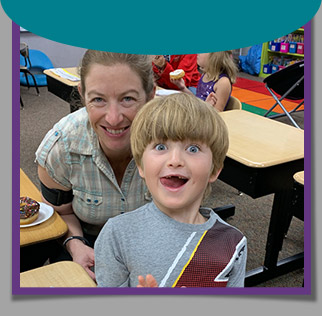 You may view our menus each month here, so your child knows what’s for lunch! Planning to visit your child for lunch? We’ve included our meal prices here for your convenience .